Today was a beautiful day! The rain came overnight, and the sun was out again this morning with a nice breeze. After morning chapel and breakfast we went to our morning sessions. In Diakonia we’ve been busy making wood crosses with beads. The campers are working hard and we can’t wait to see the finished products. We had some great discussions in OL and prepared for the sacrament of Confession tomorrow. The sun was out during free time and the campers enjoyed some time down by the lake, including multiple soccer games some of our wonderful counselors and priests. 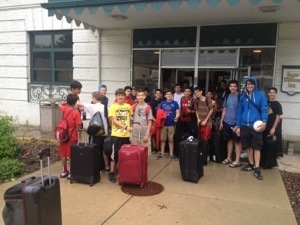 Campers also learned how to chant with Alex and had a chance to learn some Greek dancing too. After our afternoon rotations we had dinner and prepared for our evening activity- Greek Night! Big shout-out to Louis for DJ-ing. The dance floor was packed all night! Campers also had the option to tell/listen to stories around the campfire with Mr. D and Louie or watch Frozen in the air conditioned chapel. 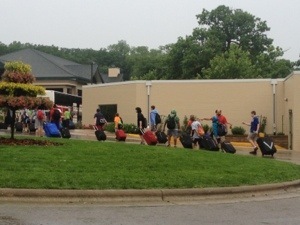 The campers and counselors definitely had a great night! We ended the day with chapel, and now we’re off to Devotionals with our counselors and priests, followed by some much-needed sleep. We’re having a blast, making friends, and learning so much about our faith. We love Fanari! 11th grade at Greek Night! 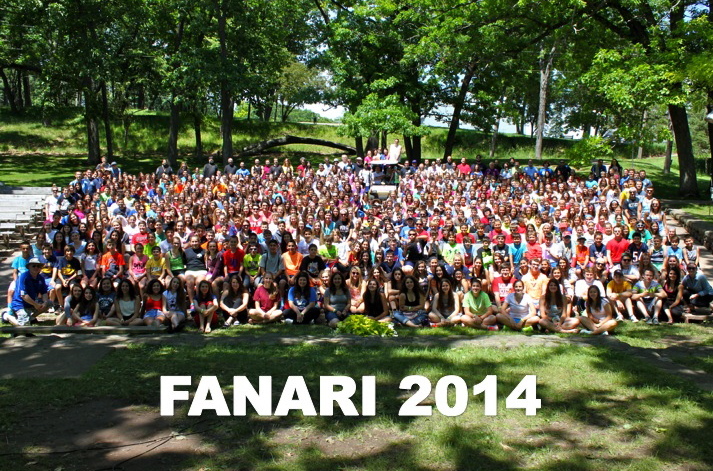 Fanari 2014 campers, counselors, staff and priests! 600 strong! This year we have over 100 volunteers including counselors, activity staff, priests, medical staff and core staff, and we’re so thankful that they’re taking a week of their summers to provide our youth with love, guidance, and faith. We can’t wait to work with all of them! Fanari wouldn’t be possible without the dedicated counselors, staff and priests who volunteer their time to work with our youth. We had our training this past Saturday, and will follow up with our camp orientation this Friday night. The counselors are excited and ready to meet your campers! Be sure to check out our amazing volunteers on the Meet the Staff pages (above). Calling all counselors & staff! It’s that time again, we’re looking for a group of dedicated and talented counselors and staff to work with the youth of our Metropolis during the week of June 15-21. Applications are available and due on May 5, 2014. -All applications must be postmarked by May 5, no exceptions. Posted on September 23, 2013 by elizabeth | Comments Off on Fanari 2013 Reunion Dance! 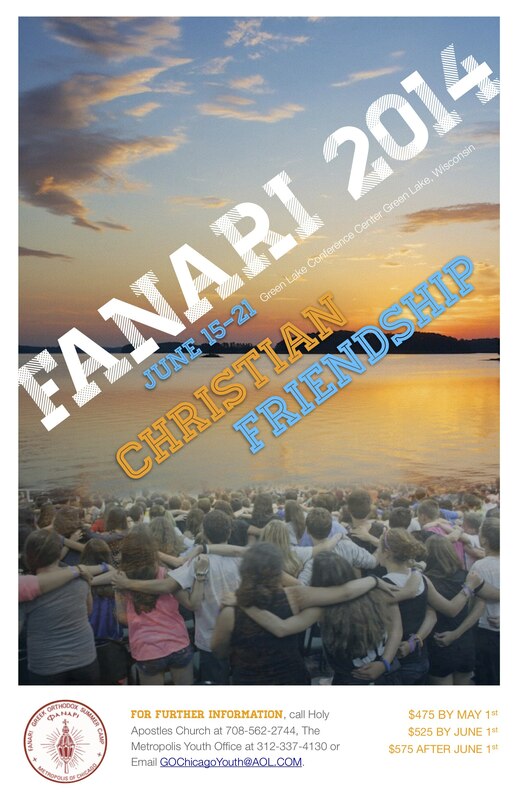 Calling all 2013 Fanari Campers! Mark your calendars for the Fanari 2013 Reunion Dance on Sunday, October 13. 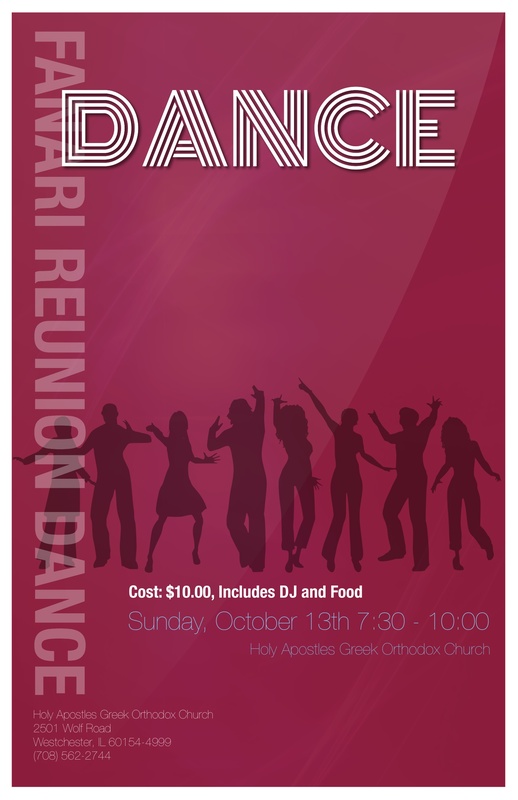 We’ll be dancing and reminiscing with our Fanari friends from 7:30-10pm at Holy Apostles Greek Orthodox Church (2501 Wolf Road, Westchester, IL). $10 gets you a DJ and food. Comments Off on Fanari 2013 Reunion Dance! Thursday morning is always a special time at Fanari Camp, as we celebrate the Divine Liturgy together. It’s beautiful to hear the campers sing hymns together and to witness so many priests from our Metropolis serving together. Campers listened to a wonderful sermon from Fr. 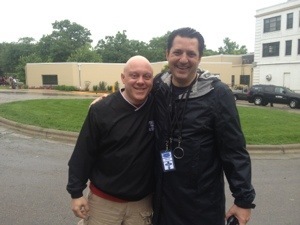 Bill Chiganos and received the Sacrament of Holy Communion. We are truly blessed to be a part of this amazing experience. Following Divine Liturgy, we had a late breakfast and took some parish group photos. Now it’s time for the lakefront and a whole day of enjoying this beautiful weather! We’re looking forward to a tasty lunch of souvlaki, karpoozi and lemonade, followed by our 3rd Annual Water Games.